It constantly amazes me that people buy brand new cars from auto dealers that litter the planet. 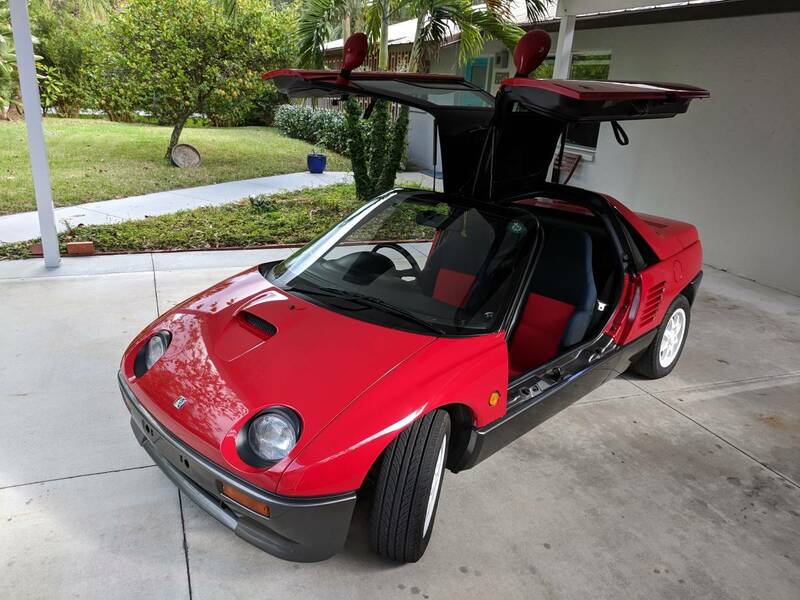 I understand that some people really love the new car smell and want something that won't strand them on the side of the road...but why anyone would buy a new Smart ForTwo for $15k when you can get an Autozam AZ-1 is like paying to eat rat poison when you can get free pumpkin pie. People are weird. 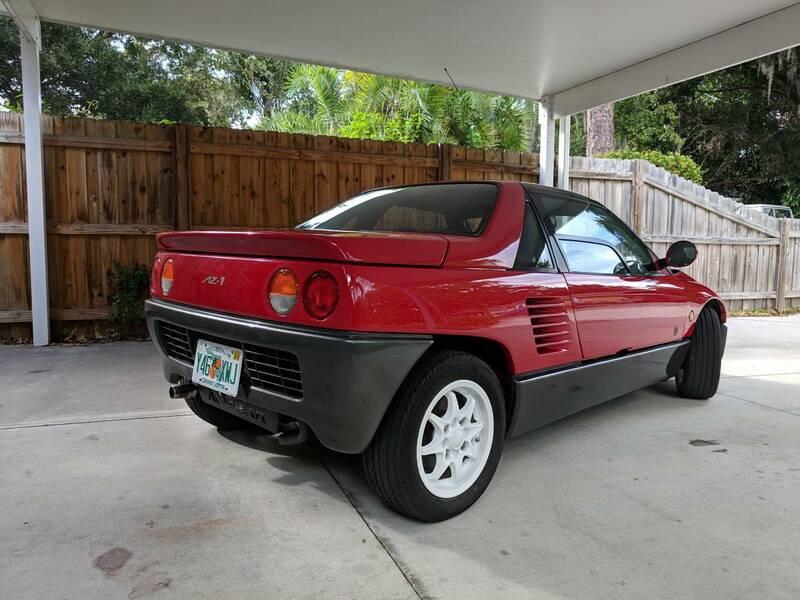 Find this 1993 Autozam AZ-1 Turbo offered for $16,500 in Sarasota, FL via craigslist. Tip from Rock On! 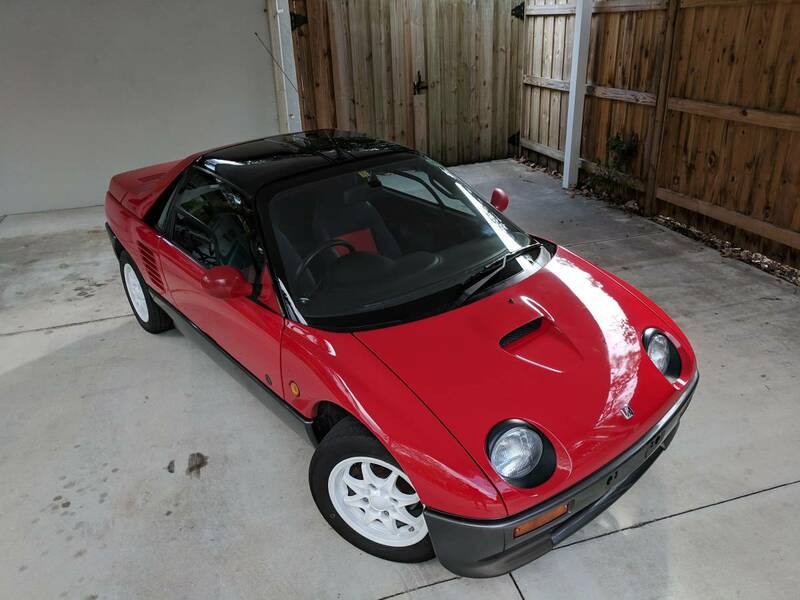 Up for sale is my personal 1993 Autozam AZ-1 (AZ1) that I imported from Japan. 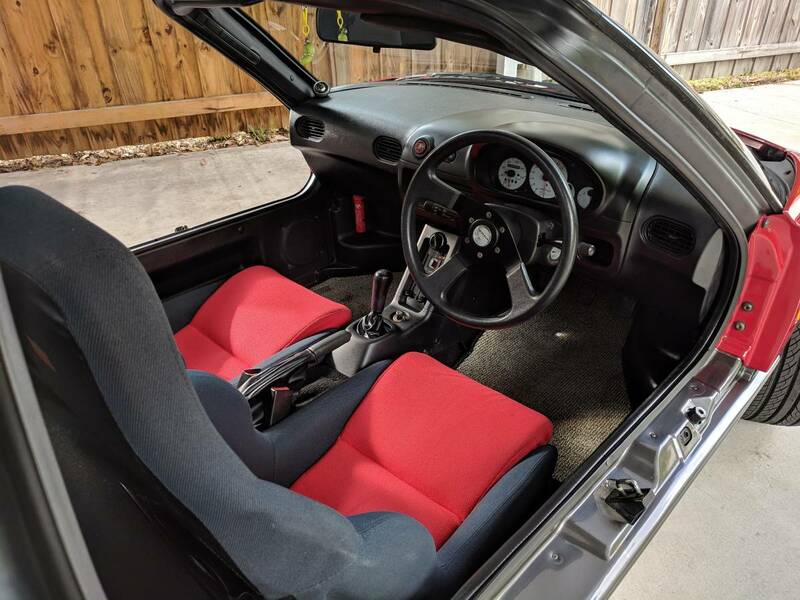 It's completely stock, unmodified and in excellent condition. Exterior shines and interior is in extremely good condition, particularly the driver's seat which is known to wear on the upright bolsters. This is a midship (mid-engine rear wheel drive), turbo charged sports car with gull wing doors that's just over 10 feet long, 45 inches high, and weighs just over 1500 pounds. Built by Suzuki, designed by Mazda, only sold in Japan, the Autozam AZ-1 is unlike anything else you will ever see on the road and is a sports car in the truest sense of the word. Fiberglass body panels cover a steel chassis while a 5 speed manual transmission is driven by a 660cc 3cyl engine through the rear wheels. The sound system is one of the few aftermarket parts, it's a Pioneer Carrozzeria headunit with aux in and a CD player connected to a left and right component speaker system. Room for two people and a bit of space for small cargo on the rear shelf. 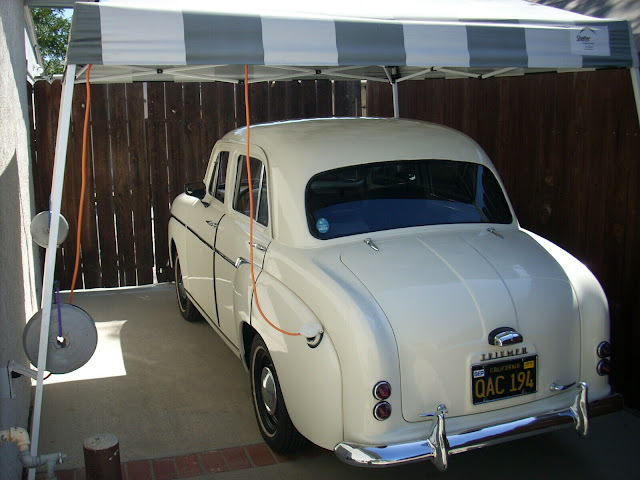 Original spare tire and mounting hardware are included as is the original owner's manual, sun shades, rear storage pouch and sunshade storage bag. On paper the AZ-1 puts out 64 hp, they tend to dyno a little more. Under the hood is a completely stock engine with the original intake and exhaust. Air filter is brand new, oil change was less than 2000 km ago, fuel filter is new as are the tires. Few cars are as fun to drive and get as much attention as an AZ-1, less are as exclusive. You'll get asked about it constantly, get more looks than most any Ferrari or Lamborghini while getting to enjoy the reliability of a mass-produced Suzuki. Less than 4500 total were produced, I couldn't tell you how many clean unmodified ones are left. hmm, there's that dealer here in Seattle that imports these, might have to go take a looksy.